Sydney Spine & Pelvis Physiotherapy has been running rehabilitation Pilates and Pilates classes for 8 years. The classes are run by experienced physiotherapists who know how to get you moving & exercising safely. 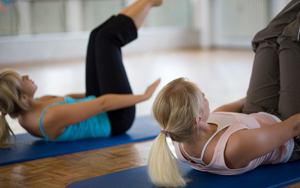 Why Choose Pilates Taught By A Physiotherapist? 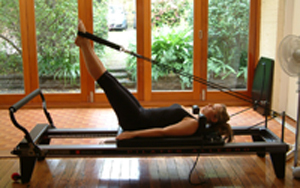 Pilates is a form of exercise designed to increase your postural strength, core control and flexibility. Developments in research and exercise ideals has enabled the modification of Joseph Pilates original concepts to enable the more specific strengthening and safe practice for those with injuries. Our Physiotherapists have an expertise in treating back and sports injuries and are therefore ideally suited to develop a program which will specifically target your areas of weakness/instability or inflexibility. We are able to understand the reasons that various exercises may cause strain/pain or discomfort and adjust them accordingly. Private Individual Classes - 1/2 hour or 1 hour class. Cost for private classes are $115 for 1/2 hour and $230 for 1 hour. Group Classes - Classes are individually tailored to your specific needs. For those who are new to Pilates or currently suffering an injury, classes have a high focus on spinal alignment and stability. For those who have done Pilates before there is a progression of movements which involve activation of core and spinal stability through a greater range of spinal movement. Classes are a maximum of 4 people which allows a high level of supervision and correction. Classes are of 50mins duration once a week for 10 weeks. Cost - $500 for a block of 10 classes. Please note that there is no refund available for missed classes. However you can do a maximum of 2 makeup classes within the 10 week block (subject to availabilty) - so please look at the dates for the block carefully.